Thinking to move to a better neighborhood like Broomfield, CO? But letting random people be in charge of your vintage and antique stuff, it can haunt anyone. Well, Local Moving LLC can not only move your furniture, pack your stuff, and give you peace of mind, our movers are amazing problem solvers. With a team of highly professional and dedicated experts, you can never go wrong. This moving service handles everything: from coming to your home and taking care your valuables (and your fluctuating blood pressure! ), moving/packing/storing/categorizing/inventorying/trucking everything from the old place and getting it safely to the new place... so you can enjoy your cappuccino. Local Moving LLC is very well equipped for whatever your job demands. We have the right tools, man-power, smarts, and professionally sound people. Our moving company staff always know what they are doing. Not only are we always on our A-game when doing residential moving projects but we are also condo and apartment moving specialists. Our guys can get your things to the top story before you know it. Local Moving LLC movers are so well trained in this biz, that they can even handle large offices, hospital and lab equipment, and nearly any other specialized industry that requires comprehensive handling and a keen eye. You don't even have to bother packing up your own things, if you don't want to. Our movers will bring all the necessary tools/boxes/bubble wrap/tape/etc. to pack your valuables and you can just wander around enjoy the service. Their pro pack job adds another layer of confidence and comfort that your things are being taken care of. The majority of moving services can definitely hurt your bottomline if things are tight. 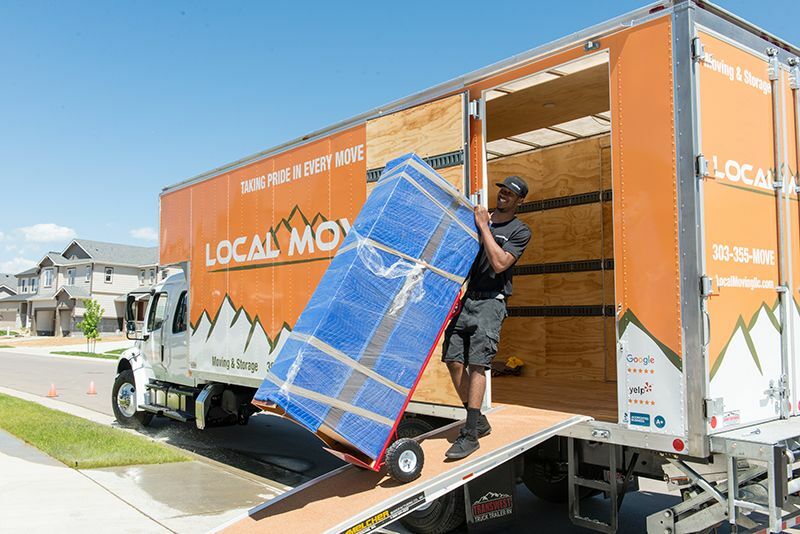 But Local Moving LLC's prices are so good, you won't be able to help but offer our moving guys coffee, tea, or a snack when they get you to your new place ?They value their customers like no other. Because our employees are well educated and highly trained, they will far surpass your expectations. You cannot find anyone better than them. All the movers at the Local Moving are trustworthy, honest, and caring. We have such friendly and cooperative employees that no problem seems too big. Maybe that's why we get so many 5-star reviews on sites like, Yelp, Google, Bing, BBB, Angie's List.... Our exceptional and responsible service gets five stars... and our punctuality. If we say 2 hours, you can expect a knock at your door within 2 hours (I wonder why they never stuck in traffic like me). So the next time you get a headache thinking about moving; save yourself, call Local Moving Company and see the magic work.